There are so many people in today’s world who are constantly looking in and around the market to find a decent job, to make a better living. When it comes to portraying yourself on the resume, and depicting many other things that you have performed in your life, we can’t really look at every statement as true or false. We should never out rightly lie on our resumes, but we must try and paint the best picture of ourselves. This sometimes means eliminating certain information that may not look so good on the resume or trying to find the right angle for your experience. 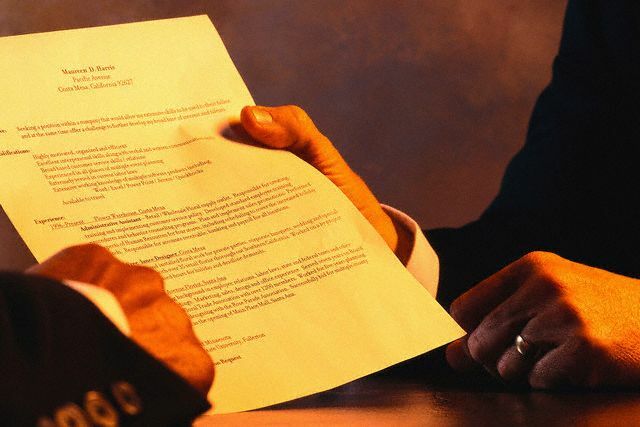 Here we have discussed few effective tips for lying on your resume. Why do potential job seekers or candidates resort to this method of finding themselves a job? As stated before, today’s world is a difficult place to live in. That is finding a decent job and surviving in an environment that resembles the qualities of quick sand is what becomes so challenging. 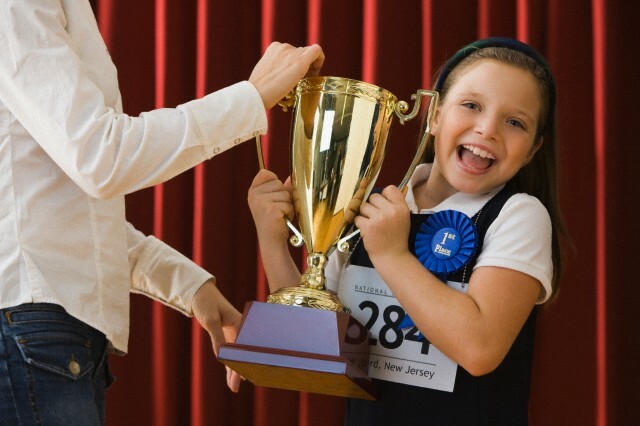 There is cut throat competition everywhere and you have to be on your toes to make sure you are in the race. Some of us are lucky enough to have a good educational degree to back up our resumes with while some of us who happen to be larger in number have a not so powerful degree. So what do we do under the given circumstances? Let us discuss about how we can portray ourselves on the resume for all those achievements that we have had on in our lives. A part of putting our best foot forward on our resumes is not only leaving out material that makes us look wrong for the position but enhancing the right things to earn that job position. Here is a detailed discussion of what we could do and not probably do under the circumstances. You need to find out your employment history initially. Some may have a long working history and some of us may have a short one. Whatever it may be, you don’t want to necessarily include all of it. For example, if you are applying for the position of a marketing manager. Then don’t include experiences that you may have related to associate jobs under operations or may be the cashier experience at a grocery story. Basically don’t burden your resume with irrelevant job positions that you may have held earlier. Why should you not do it? Simply because it makes you waste space on your resume and digresses from the theme. That is you want to talk about skills and capabilities that will add to the position of a marketing manager. This is basically because you want to tell your recruiter that you are all game for the position mentioned above and that you are the best person for it. When you have to nail it in a competitive environment where every minute there is a possibility of losing a job opportunity then, it calls for the handling of your resume in a tactful manner. Therefore use space in the resume to explain the good work you did in the past years that is actually relevant to this job. Reject any symptoms that tell you that you may be over qualified. Similar to the above, you may want to eliminate any off job titles and other information that may make you look overqualified. Like for example, you don’t need an MFA to work in telesales or a Vice President position to get a job as a programmer. In case you appear to be over qualified for the job, then you might land up being rejected for the following reasons. One the firm may think that you are too expensive to afford in terms of your salary. Two, the job position may not require so much potency. So basically, you are offering something more than what the position actually requires. And the firm may not be so interested. Don’t practically lie about your position. Just imagine, if your prospective employer calls your previous employer as a phase of background check, to ask about a position that doesn’t exist, then you are caught red handed. But remember that, you shouldn’t discount the work you did beyond the call of duty. Let me take you through an example to convey the concept in a much better way. Assume that you were an intern in a renowned firm and that position that you held was critical such that you almost were in the shoes of a manager. But don’t make this mistake of expressing yourself as the manager itself in your resume. But what you should ideally do is, put in the original title you received as an intern and lay out the responsibilities as bullet points that made the position so important in that firm. Focus on positive things like adding points that make you look intellectual and a hardworking employee. Don’t include concepts that make you look like a side dish but include those most relevant titles. May be you know how to use excel a little bit, but that doesn’t mean you can’t add it on. You will learn the newer versions of excel and hence you can put it up. If you can spend night learning what you have claimed that you know on your resume, that’s all it takes for proficiency. This also means taking a sizable amount of risk and that it should not be taken too many times. Don’t claim to know Java script even if you have little or no knowledge on it. Remember that when you fake something, you should be able to learn or master the art over the night. Again in another example, you wouldn’t want to try and get a job as a front end developer when you have limited knowledge on HTML and CSS. Although you can use the same to get a job as a blogger. Some experienced hackers use this method to get through to things. The trick is not very difficult, but it involves digging deep to finding relevant experience you didn’t know you really had. This article gives you a lot of insight in terms of the examples we use here. So yet again, imagine you wanted a job as a graphic designer but the only work experience you have had is that of a receptionist. So speak about how you have created fliers, mailers, presentations, in-office posters and so on. When you want to change the domain of your job, find ways to do the kind of work you want to do at your current job so you can claim it as experience on your resume. But that doesn’t mean, you don’t do the work assigned to you but just that if you add a few other helpful tasks now and then, your company should appreciate you for it. The other thing is when you can’t do something at your firm, then do it in your own time. Why would anyone stop you from designing, writing or whatever it is that you feel like after you clock out? When you don’t have relevant experience, you should make some for yourself. This doesn’t mean that you would crack an interview right at the offset. But it will give you a chance to do something that you have always wanted to. Always be free to take advice from others but you need to know the right way to ask for career advice. You may want to lie as less as possible, but along the same lines you should learn to manipulate the already existing skills within you. So you should polish and decorate the already achieved proficiency to tailor make it to the industry you want to apply in. That is, embellishing your skill sets a little bit, including the right jobs and focusing on associated job experiences. Don’t just blatantly lie in your resume, it could get you to an interview process but it won’t probably get you a job. You may also add educational qualifications that you might be obtaining soon in the near future. That is, for example, you have an ongoing distance course that you have undertaken. Then if you know that the same is nearing its end, you may also add the same under educational qualification. Just make sure you finish it within the stipulated time so as to obtain the certificate before matters get out of hand. Sometimes the resume may look a little underpowered. But here is where all the talking you do comes of some use. Muster up the energy to tackle the interview in an altogether different angle. 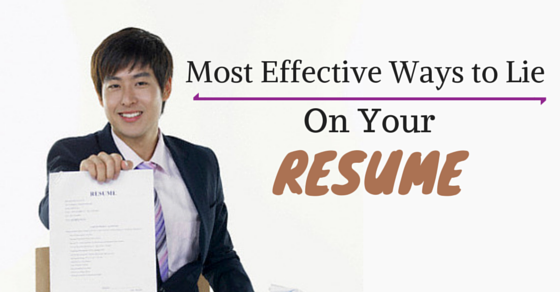 If your resume has few things that stand out and some other things that don’t really matter. Here is what you do to manipulate that you are the best guy. Talk to them about your best experiences. Speak more of what had been done well than about what has been not so good. 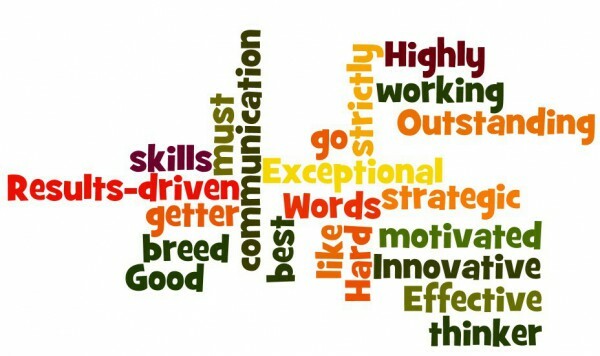 Build up your skills on how you would speak in an interview. This is because you know that you don’t have a strong resume. So the next best thing to do is, communicate well to convince the hirer to offer you a job. If you have ever had a gap in the career path don’t panic. Talk about how you have attended workshops and have gained expertise in a particular area that would help you. You may have not attended but it’s alright to bridge the gap this way. Also remember as outline before, you should also be able to master those skills that you have faked over a short period of time. This is another interesting thing for you to do. Conduct a little bit of market research and find out the key or prime skills that the market is looking out for in your particular industry. This is an interesting way to pass through the junior recruiters and automated tracking system that is generally used by most firms. And once you have passed through, use your communication skills to reassure that you have what it takes to be in that job profile position. Let me remind you that along with conducting the market research for your job profile, you should also perform an analysis on the firm that you want to join. First, make a list of all the firms that are offering job positions that you would ideally want to apply for. Then, make notes as to which of these firms you would want to apply for. Assume that there are four firms that are in your priority list. Now although your resume seems to be set for all of these companies, you should know that each firm has its own goals and ideologies. Therefore, you should actually possess four versions of your resume that you could apply to each of the firms’ respectively. That way, you are bound to connect to the firm’s thoughts and you might as well stand a chance for an interview. 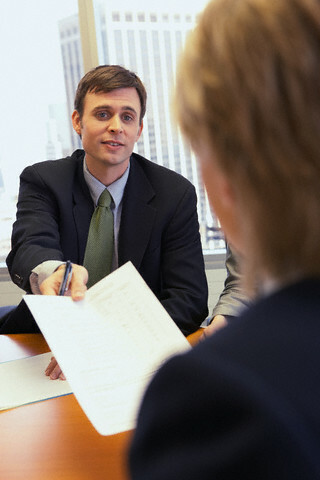 Practically, firms would choose that resume which best applies to their interest. Having discussed the above, it’s now your turn to express how you have felt about the entire discussion. Feel free to express your thoughts, intuitions and ideas if you have any on this particular topic. Off late job seekers have resorted to these methods to make and earn a living in this world. Most of you who have read this article through, please give in your inputs to enrich this discussion. It would most definitely be advantageous to many of us. Next articleMoving Up the Ladder – How to Fast Track Your Career?